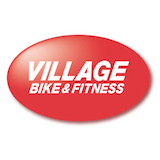 Since 1974, Grand Rapids area cyclists have enjoyed the friendly, helpful service at Village Bike & Fitness. What started as one little shop in Eastown has become four stores serving the GR metro area with a large inventory of all types of bikes from balance bikes for toddlers to cutting edge racing bikes and everything in between. Our service departments perform expert repairs on all brands and styles of bikes and we stock the best cycling apparel and accessories so you can ride safe and happy. Visit www.villagebikeshop.com for more information. 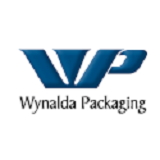 Wynalda Packaging specializes in specialty folding carton manufacturing and design. With almost 50 years of experience, we are the premier resource for folding carton in our industry. Our wide range of capabilities and highly flexible structure make us a great partner for all your folding carton needs. Visit www.wynalda.com for more information. How do you define the ultimate cycling experience? That’s up to you. Our mission at Giant is to help make it happen. To create the ultimate cycling experience for all riders, all around the world. We are builders and innovators, but we are also a global community of cyclists. We are athletes, adventurers and advocates for cycling. We are Tour de France racers, singletrack explorers, neighbors and friends. 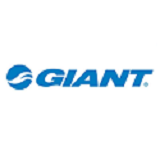 Visit www.Giant-Bicycles.com for more information. We offer a wide variety of fire equipment, specialty systems and services. Thanks to our excellent staff we are one of the few companies truly capable of doing it all. Our service area is focused on the entire state of Michigan and Northern Indiana. We also supply products and custom designed systems that are shipped throughout out the country. 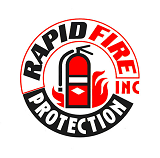 Visit www.RapidFireProtection.com for more information. We are proud to sponsor the best athletes in the world. 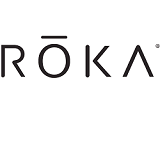 Our pros have trusted ROKA products for six Olympic Medals (including two golds), Tour de France stage victories, IRONMAN World Championship swim and bike course records, and 30 World Championships. Visit www.roka.com for more information. 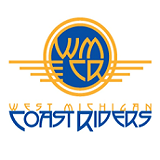 Visit www.wmcoastriders.org for more information. With fabrics. Cuttings. Seams. Getting rid of seams. It’s no joke that we update everything constantly to try and improve the performance, fit, and finish of our products. This is because we’re athletes who love sport and want to help every athlete meet their goal. 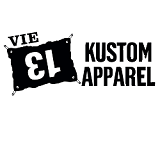 Visit www.vie13.com for more information. Progressive Components is the only American owned, independently operated developer and distributor of componentry and software for the injection mold industry. From humble beginnings over twenty five years ago, we’re appreciative of the opportunity to continue to develop new solutions to assist molders and mold builders. Visit www.procomps.com for more information. We're an industry leader in Visual Merchandising Solutions, including: point-of-purchase (POP) displays, product glorifiers, stocker displays, holiday outpost, pop up shops, vacuum formed components and in-store retail signage. Visit www.machinestar.com for more information.